Land Rover India has finally launched the much-awaited all-new Discovery in India with prices starting from Rs. 71.38 lakh. 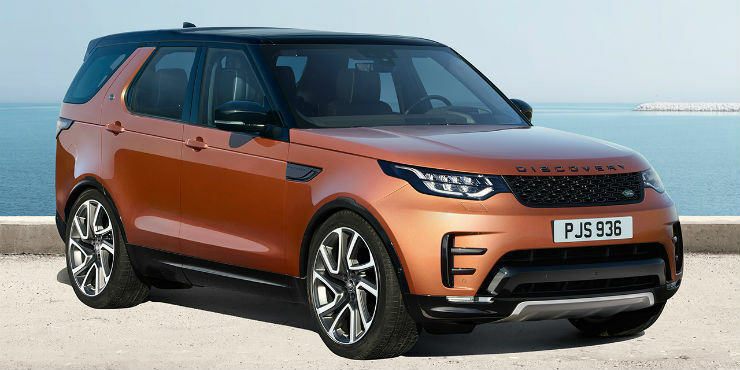 Land Rover started taking bookings for the all-new Discovery in India two months ago and will start the delivery soon. This is the third-generation of the iconic Discovery which was introduced in 1989. The new Discovery is based on the new PLA platform (lightweight full-size SUV platform). The new Discovery is lighter by 480 kg, which makes it much faster and more capable than the predecessor. The all-new Discovery also looks much sleeker and futuristic when compared to the old school boxy design of the vehicle. The new Discovery is powered by a 3.0-litre V6 petrol engine that churns out a maximum power of 335 Bhp and 450 Nm of peak torque. There is also a 3.0-litre diesel engine that produces a maximum of 254 Bhp and peak torque of 600 Nm. Both the engines are mated to an eight-speed automatic transmission. The petrol model can reach a top speed of 215 km/h while the 0-100 km/h sprint takes 7.1 seconds. The diesel variant can reach a top speed of 209 km/h while the 0-100 km/h run takes 8.1 seconds. Land Rover all-new Discovery is a seven-seater vehicle with plush cabin and a long list of features. The car gets 10-inch infotainment system with InControl Touch Pro. It gets Android Auto and Apple CarPlay connectivity. There is a 14-speaker Meridian surround sound system too. The all-new Discovery also gets Intelligent Seat Fold technology that allows passengers to reconfigure the second and third-row seats with a touch of a button. The new Discovery will take on the likes of Audi Q7 and Volvo XC90 in the market.